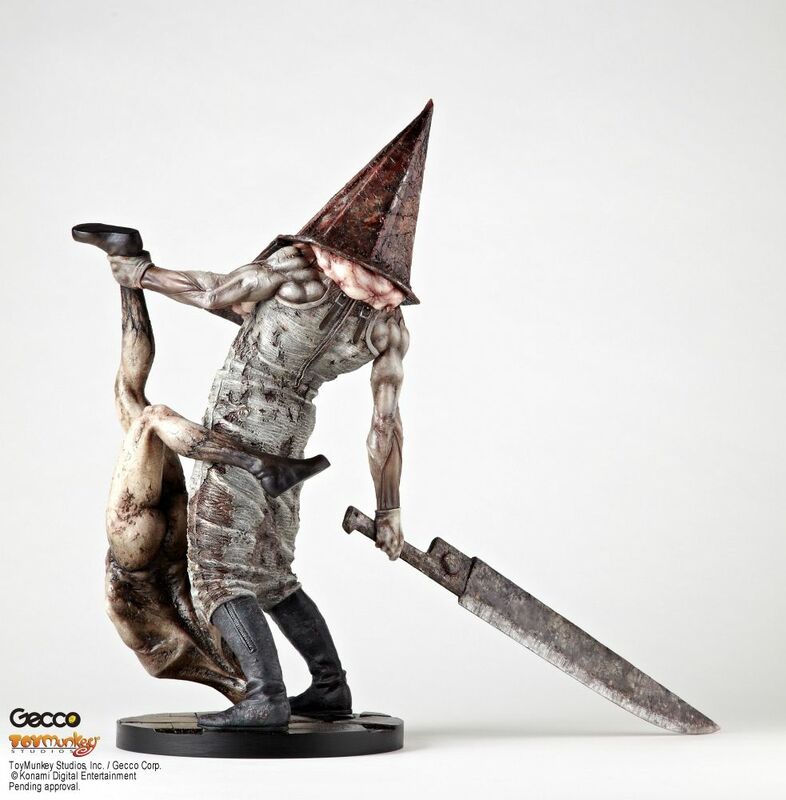 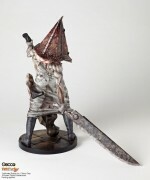 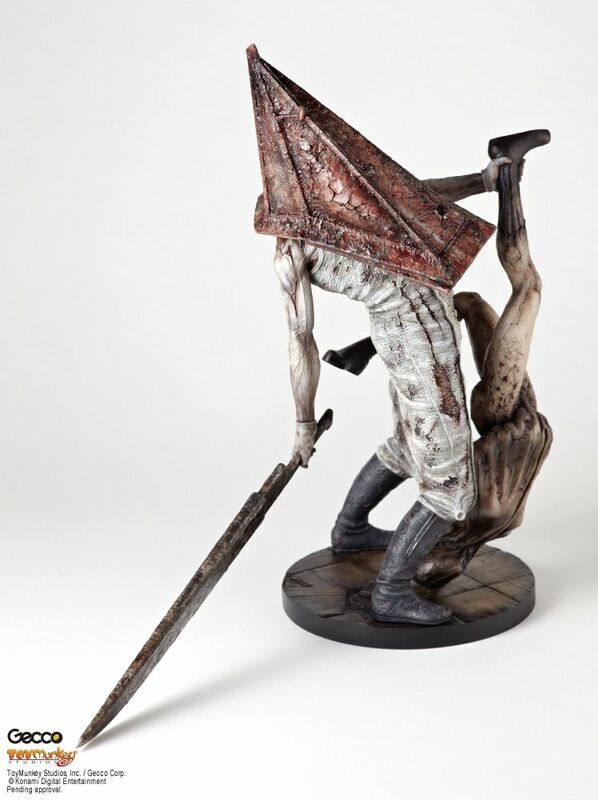 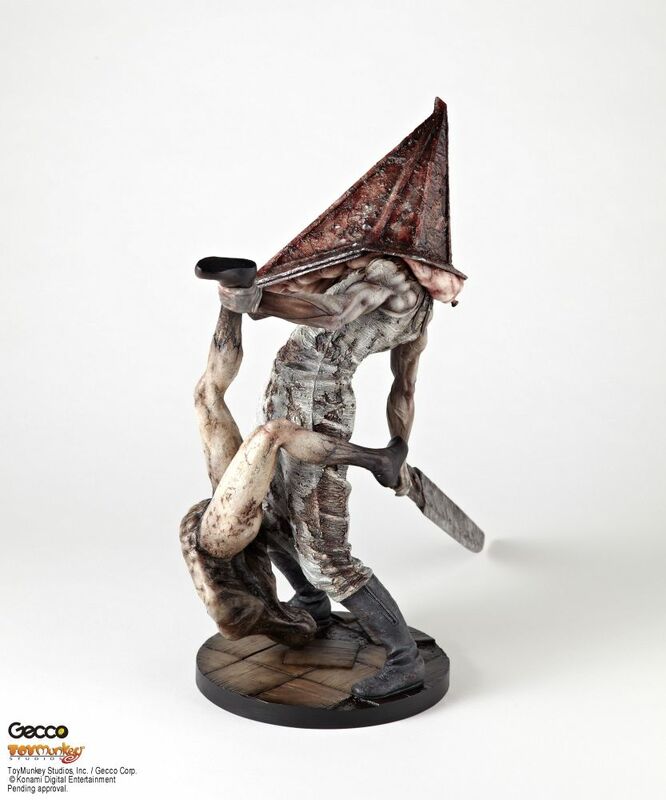 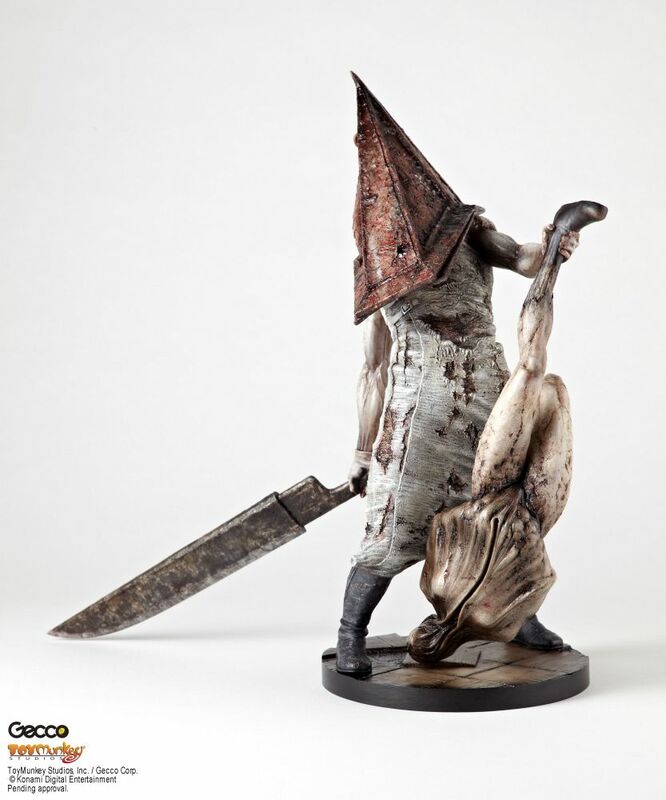 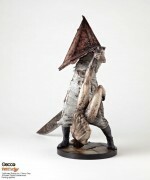 Toymunkey Studios in collaboration with Gecco Corp is proud to announce a new line of PVC Statues based on the popular Konami video game series and hit movie Franchise Silent Hill 2! 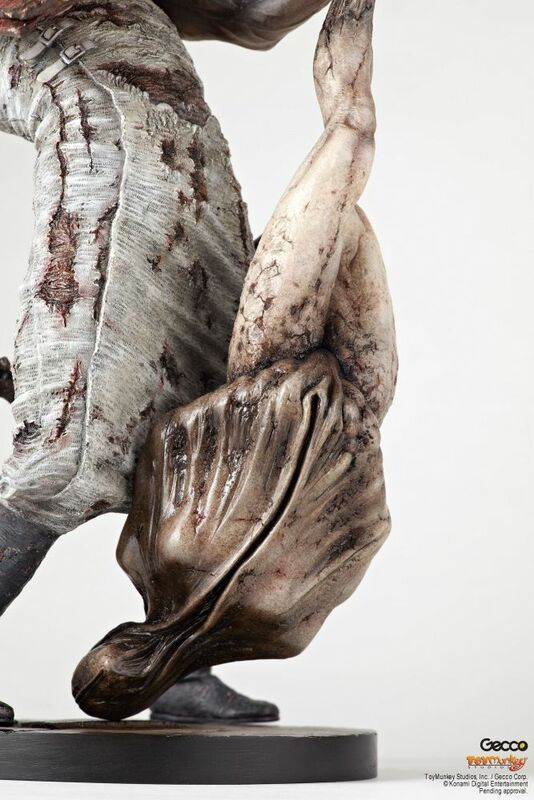 First up, Red Pyramid Thing or “Pyramid Head” is a creature derived and manifested from dark self-punishment feelings of the protagonist â€œJamesâ€ in Silent Hill 2, and is also based on the executioner in the original Silent Hill. He attacks not only humans, creatures, and anything else that gets in his way with the Great Knife. 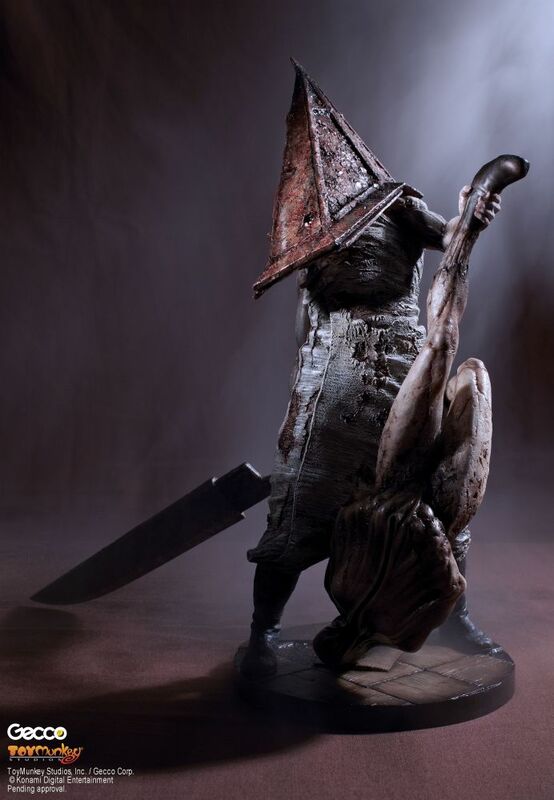 This vicious brute from Silent Hill is faithfully recreated as a high quality & huge size figure standing 13 inches in PVC! 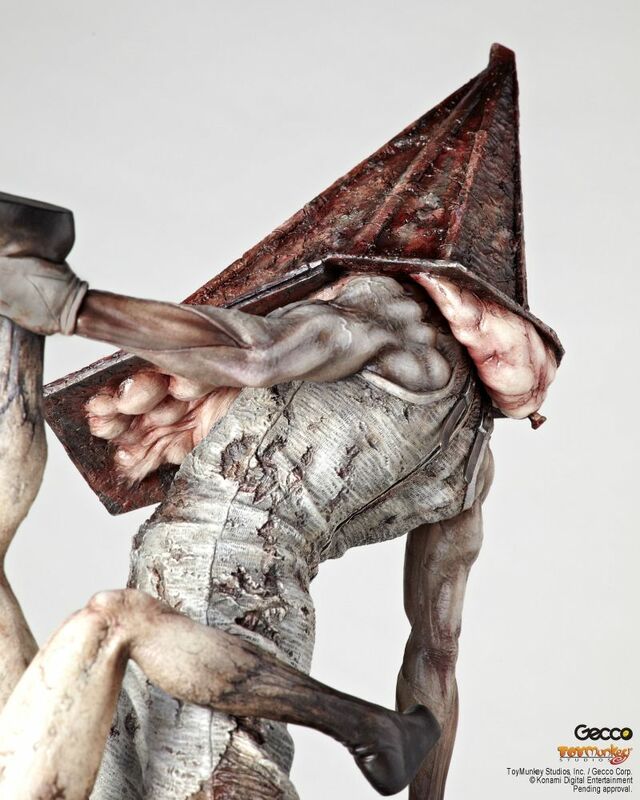 The pyramid-shaped helmet is sculpted perfectly and is based on the latest model sheet specifics! 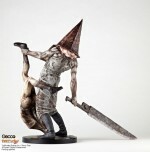 Lifting a “Victim” in his left hand, it’s a dynamic and dramatic depiction! Look forward to this high and other quality statues available this holiday season!